Cydia on iOS 7 – While there are no imminent release signs of iOS 7 jailbreak for public, we have gotten a chance to take a look at Cydia on iOS 7. 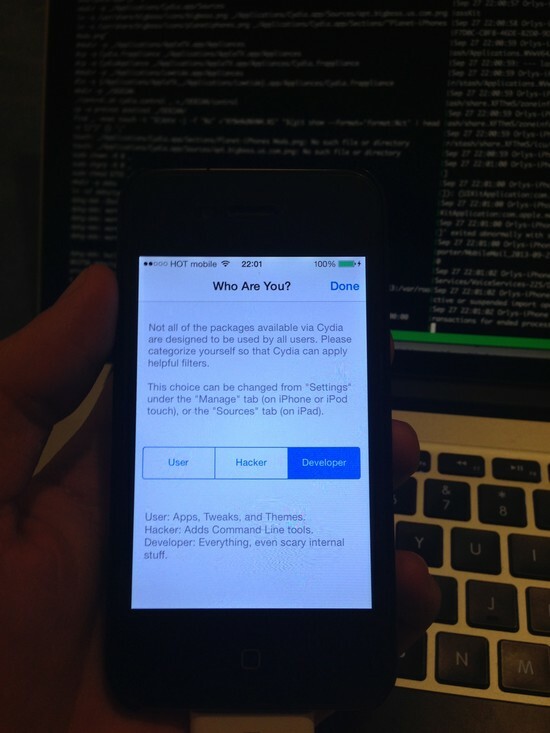 A number of hackers have already claimed to be running Cydia on iOS 7 with tethered boot on iPhone 4. 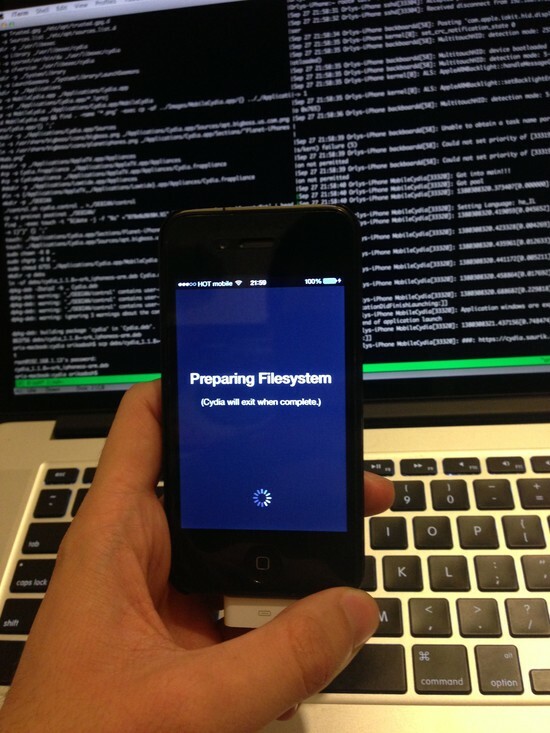 Last week, we heard that iOS 7 Jailbreak tethered boot is coming for iPhone 4 users in public. However, so far we have not seen any official update from jailbreak developers. Cydia on iOS 7 seems to be broken for public developers usage, but one with appropriate knowledge to code can easily fix the issue on his or her iOS 7 running device. 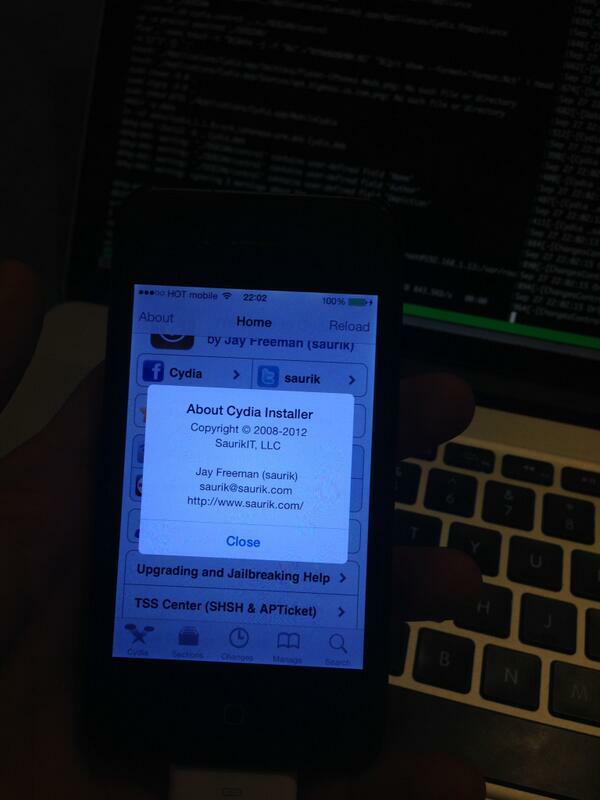 We have gotten a set of pictures previewing an iPhone 4 running Cydia on iOS 7 with the new layout and interface. Saurik was reportedly working on the new layout of Cydia on iOS 7 and was fixing major bugs in the program. Hackers claimed that Saurik will roll out a significant update to its Cydia program on the public release of iOS 7 Jailbreak. You can check out the complete gallery at the end of the post. The iOS 7 Tethered Jailbreak can be achievable by using OpenSn0w, and a list of some other tools. Winocm is maintaining opensn0w project as an open-source tool for everyone to get read-write access on iOS 7 disks and files. It allowed several hackers to discover reproducible errors in iOS 7 for untethered iOS 7 jailbreak.